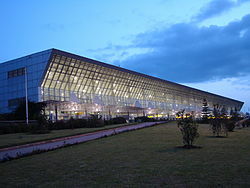 ^ "(ADD Arrivals) Addis Ababa Bole International Airport Arrivals". FlightStats. Retrieved 2018-06-19. ^ Steinmetz, Juergen T (2018-04-21). 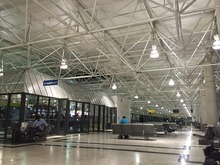 "Addis Ababa Airport expansion progress | Travel News | eTurboNews". Travel News | eTurboNews. Retrieved 2018-06-19. ^ Wenzel, Nick (2019-03-10). 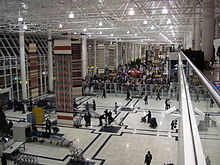 "Ethiopian Airlines flight ET302 crashes shortly after takeoff". International Flight Network. Retrieved 2019-03-10.